The nailer choices available to contractors are vast, but the fasteners these tools drive dwarf the tools that drive them. 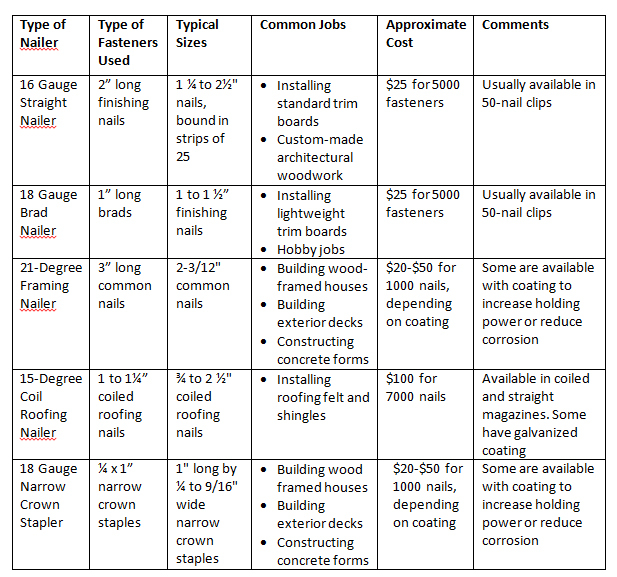 The Quick Reference Chart below will give you a good idea of the broad range of fasteners that are available and what jobs they can handle. 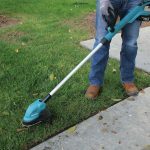 Most contractors will probably use only a handful of different nailers, but these tools are such time-savers that in many cases a single job will justify buying another. You can’t simply buy a nailer, throw your hammer away and suddenly have lots of free time. 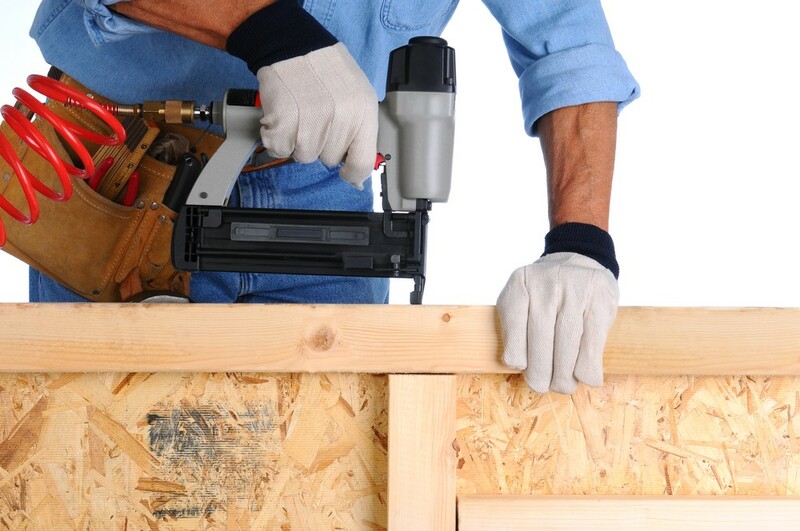 It’s best to keep your hammer and buy a nailer, as well as a small compressor, at least 50 feet of 1/4 -in-diameter air hose, the fasteners that fit the nailer and the job you want to do and a little can of light oil to keep everything working smoothly. Keep the hammer on board for smaller, more delicate jobs. Steve Willson began his career as a carpentry contractor in Rochester, New York, where he owned and operated his own business. He then joined Popular Mechanics magazine as their Home Improvement Editor, a position he held for 22 years. 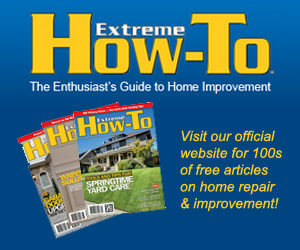 During that time, he produced thousands of pages of home improvement and shop work content, including a Woodworking Guide that received a National Magazine Award. He is also the author of three books. He now writes about home improvement, nailers and other tools for The Home Depot.